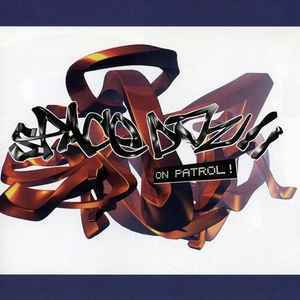 Space DJz ‎– On Patrol! Phonographic Copyright (p) – Soma Recordings Ltd. Copyright (c) – Soma Recordings Ltd. I'm really surprised by the rating of the album here. To me, it's one of the best techno albums out there. Just a little illustration: I have a directory called dj_case serving as a repository when DJing. Rare are the releases where almost every track goes into it, and this is one of these. Onto the album: my personal highlights are Solaris (kind of unusual hypnotic techno track), Descending Life (kick drum that kills, it's like sound sculpturing, and the rest of the sounds are very refined too), Centre Field (classic "funky" techno, strong groove and bassdrum that humps). Nevertheless, this album is not about techno only, there are some other but similar vibes here.